Grain-Free Protein Chocolate Chip Cookies! – simply life.food.fitness. Grain-Free Protein Chocolate Chip Cookies! Are you ready for the sharing to begin!? 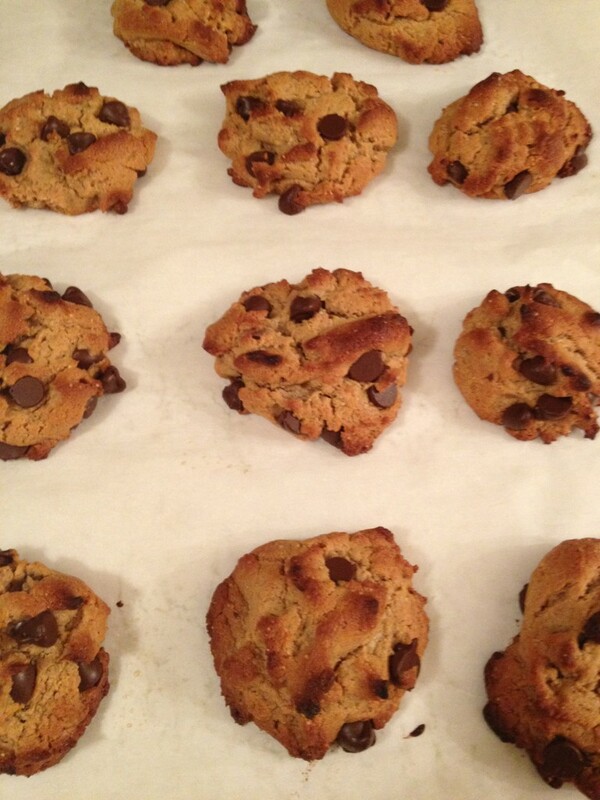 I’m IN LOVE with these cookies and have adapted the recipe from Detoxinista. Preheat oven to 350. Combine everything but the chocolate chips – I throw it all into a bowl and use the whisk attachment of my hand blender to combine. Fold in the chocolate chips. Scoop onto a greased or parchment covered cookie sheet and bake for 8-10 mins (until golden), rotating half-way through. Leave on the cookie sheet to cool as they come out of the oven very soft!I tested them on my friend’s fiance and they passed with flying colours! Next postWhen do you practice yoga?